In this article, we take a look at four of the most well known and commonly used virtualisation software for Linux. When it comes to virtualisation, Linux unarguably has more prowess and offers better performance as the host OS than most other operating systems. Mac does indeed allow you to run MS Windows in a virtualised environment, but it is only Linux that offers all-encompassing support for most popular operating systems. And talking about virtualisation products for Linux devices, the options are plenty. However, in this article, we will focus on four popular options — Qemu, VirtualBox, VMware Player and Parallels Workstation. Before comparing these, let’s first look at each of them in isolation. 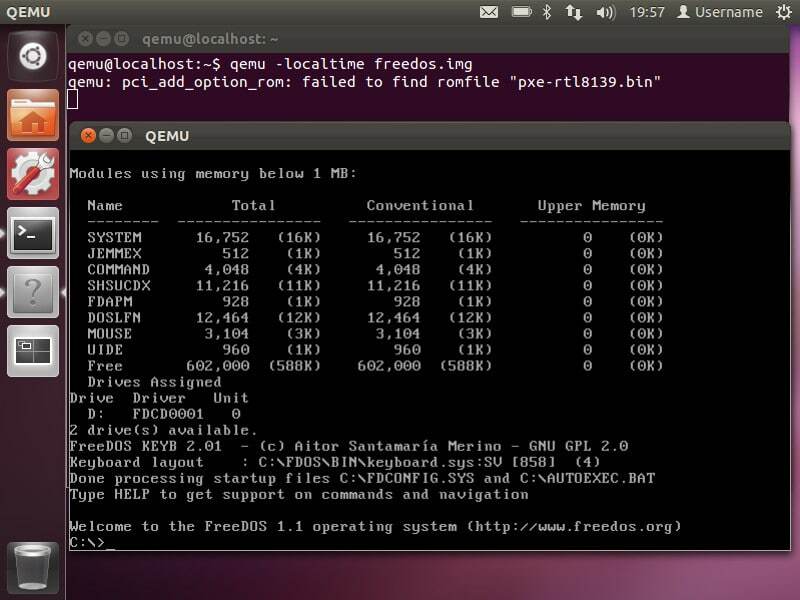 Qemu can be used both as a machine emulator and as virtualisation software. It lets you run Windows programs on your Linux machine, as well as execute guest code directly on host devices. And the best part is that Qemu is open source software. Oracle VM VirtualBox, or just VirtualBox as it is popularly called, is full-blown virtualisation software typically meant for the x86 architecture. Even though Oracle primarily projects it as a product for enterprise use, VirtualBox can and does suffice for general computing enthusiasts who would like to try their hands at virtualisation. In fact, VirtualBox is so neatly laid out and simple in operation that it should be your first pick if you aren’t already familiar with virtualisation. It supports numerous operating systems apart from Linux and Windows, including the likes of BSD, Solaris and even DOS or Windows 3.x. Like Qemu, VirtualBox is also open source software. VMware Player is a commercial virtualisation product that lets you run multiple operating systems on your computer. The product is free (as in free beer) for personal use, and paid enterprise versions are available, but sadly, none of the offerings are open source. Beyond that, VMware Player offers excellent support for multiple operating systems, and binary downloads are available for both RHEL and Ubuntu users (32-bit and 64-bit). Parallels Workstation is paid-for, commercial, closed source virtualisation software available for Windows, Mac and Linux. A cheaper, non-enterprise version by the name of Parallels Desktop is also available. If you are compelled to compromise with closed source software, it is likely that you have a good “business” reason behind it, and so we will review Parallels Workstation in this article. With that general introduction out of the way, let us now compare each option’s performance under separate heads. Beginning with Qemu, the installation process is pretty simple. In fact, Qemu is nowadays offered in the repositories of almost every major distro and so, installation is just a matter of a few clicks. Also, Kernel Virtualization Machine (KVM), which is supported by Qemu, is nowadays a part of the standard installation of most notable distros, including Ubuntu. Similarly, VirtualBox, too, forms a part of the repositories of many distros. However, just in case your distro does not offer VirtualBox, you can always download the binaries from here. The installation of Parallels Workstation, on the other hand, is outright complex. You can either add custom repositories for third party software in your distro’s software manager, or you can download it from the Parallels’ website itself. If you are downloading it from the website, you’ll need to register for a user account (yes, that’s how it is with closed source software — you have to register). And speaking of registration, you will be required to give a plethora of information about yourself — your name, work information, address, and so on. Thereafter, the URL to the download location will be sent to you via email. Since the software is paid for, you’ll have a 30-day trial period during which you can use the software without paying the licence fee, following which, you have to either purchase a license key or remove the software. During the installation process, you will also be presented with the End User License Agreement (EULA) which you need to agree to conform to, before carrying on with the installation. Speaking of VMware Player, the installation is more or less similar to that of Parallels Workstation — you have to register for an account on the website (though in this case, you’re required to give only your name and email address), following which you can download the software’s installer. The installation process is self-explanatory, and yes, there is a EULA that you need to abide by. Beginning with Qemu — its interface, though clean, can be confusing for the beginner. If you are a KDE user, you can use QtEmu, which serves as a handy emulator. However, if, just like me, you are not a KDE and/or GNOME user, using Qemu’s emulator can be quite annoying at times — it simply refuses to blend with your DE. However, once you get accustomed to it, you’ll realize that Qemu is one of the best tools for virtualisation. You can enable or disable full acceleration, decide which processes to log, specify arguments for start-up, and so on. In fact, Qemu offers a much greater level of customisation than most other alternatives. When it comes to the user interface and mode of operation, VirtualBox emerges as the clear winner. The interface is slick and resembles more of a media player (say, Banshee, for instance). For almost all the operations, there are setup wizards and the procedures are self-explanatory. The program offers all the abilities that you’d seek in a virtualisation tool, and is well backed by excellent documentation. Parallels Workstation, on the other hand, is neither as sleek as Qemu nor as polished as VirtualBox. A good portion of it is written in Qt, so again, KDE users can feel at home. Speaking of the mode of operation, there is a Virtual Machine Wizard, but since the product itself is more geared towards workstation use rather than home use, the Wizard begins with questions regarding networking, rather than storage. You can set up Ethernet networks, and share host devices from within the wizard. However, such functionality is available in both VirtualBox and Qemu, so it doesn’t really make sense why one would opt for a closed source option. Now, let us take a look at the final option, VMware Player. Unlike its Workstation version, the free Player version does not ask us to connect to a remote or local server upon startup. Instead, the interface simply offers you a set-up wizard that lets you create virtual machines. VMware Player does offer two unique things — the guest OS runs within the console, instead of a separate instance, and the support for audio devices and video cards is terrific. 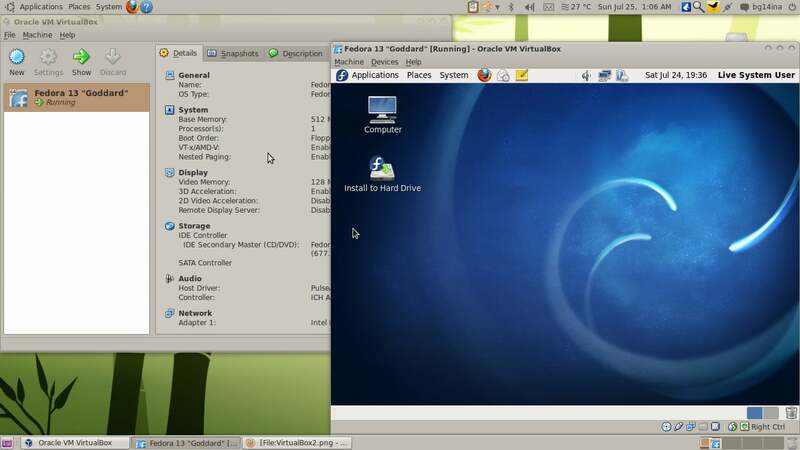 For example, in this screenshot, Ubuntu is being run within VMware Console, rather than a separate window, as would have been the case with VirtualBox. This gives the product an organised appeal. Before we proceed any further to each product’s performance levels, it is worth noting that Parallels Workstation is a software meant essentially for the server environment, whereas VMware Player is meant for non-enterprise use. The other two, Qemu and VirtualBox, however, can double up for both scenarios. Qemu, strictly speaking, does not project itself as virtualisation software. It is more of an emulation mechanism for the x86 architecture. Thus, there are certain scenarios where it does perfectly well, and beats all others. For instance, you will not need to tweak sound profiles to make them work on the guest OS. The downside, however, is that Qemu’s guest machines, even when idle, tend to consume a good deal of memory. VirtualBox, on the other hand, strikes a great balance between memory consumption and hardware detection. You will need to make a few extra tweaks at times to get the audio working, but overall, the software is wonderful. Even when running memory hogging operating systems such as Windows Vista, you will rarely see a performance lag (assuming that you have a decent RAM in place). 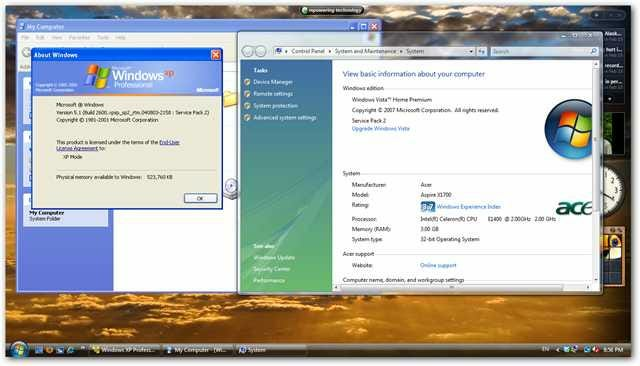 Parallels Workstation, since it is basically meant for workstation use, detects any Internet connection that you may have, by default (if you do not wish to share the host connection with the guest machine, you will have to disable it manually). The detection of sound devices is ordinary, and running videos is a pain. The program itself eats up a good deal of memory. VMware Player is, by far, one of the most impressive virtualisation tools when it comes to performance. In my experience, there has rarely ever been a performance lag. It automatically detects many hardware devices, and memory management is great! Now, going beyond features, here is a quick view on the performance levels of each option: I attempted to install Mandriva LXDE under each virtualisation tool (the host OS being Sabayon 8, the RAM available to the guest OS was 256 MB, and storage space was 6 GB). In Qemu, the entire installation process took roughly 20 minutes; VirtualBox was around 15 minutes; VMware Player, too, stayed closer to 20; whereas Parallels Workstation took a little over half an hour. Seems comparable, doesn’t it? So, we began this article comparing four separate virtualisation tools. While you may have your personal preferences, in my opinion, Parallels Workstation, the costliest of the lot, fared in the most unimpressive manner (comparatively). On the other hand, VMware Player is a decent choice for virtualisation. And once you get used to using Qemu, it will serve you well. However, in terms of a combination of speed, ease of use and performance, VirtualBox ranked ahead of the lot. For all general purposes, VirtualBox will easily suffice, and just in case you need slightly advanced functionality, you should consider opting for VMware Player. Install Oracle Virtual box on 64 bit Hardware and try using it. Please help me install Ubuntu OS latest build on a Kingston Data Traveler USB 8 GB Stick FAT32, completely clean & formatted, now, WITHOUT BOOTING from USB, Ubuntu OS should load & run inside Win XP 32 Bit OS & Win 7 Home Premium 64 Bit OS, whenever, I insert my USB stick in any port & SHOULD NOT INSTALL UBUNTU OS ON ANY MACHINE, just like Win 7 Professional OS & Win 7 Ultimate OS have Win XP Mode running inside them, for legacy software & is able to access, modify & save all file & folders of the host machine, should run in a different interface, but here I am using a USB Stick, please tell me if its possible ? (http://www.howtogeek.com/wp-content/uploads/2010/02/sshot472.png)How do I create a new virtual machine for Ubuntu, and save it’s virtual harddrive to the USB ?Could I use VMware Player or Virtual Clone Drive or Virtualbox or Qemu out of curiosity? VMware Player is my personal choice. I used to use Virtual Box (I had actually switched from VMware Player to VirtualBox, but years later i’ve switched back). Aside from offering restore points, it is worse in every category when compared to Vmware Player. That said Virtual Box is still a great virtualization software. Which-ever of the two you use, you will be well off. Parrallels Workstation sounds good, but their tech support don’t take your questions seriously, they just tell you you’re wrong and ask if you need help with anything else, they lost a sale :P. Quemu, might be good…it looks way to complicated for me to even attempt using it. VMware Workstation is just Vmware Player with more features (some VERY useful) and a record price tag (unless you include Parallels Workstation Extreme in the race). Parallels Workstation Extreme, is kind of a joke…you attach as much real hardware as you can to virutal machines, and pay between $1200-$2000 to do it per license. I’ve never tried Bochs, PearPC, KVM, or VMlite Products (with the exception of Vboot…which isnt a virtual machine…but is a cool application). Microsoft Virtual PC i’ve only used once, so i’ve no opinion on it. Xen Hypervisor caught my attention for a while, but i never tried it. Long story short, if you need performance install Vmware Player, if you need restore points install VirtualBox. All that writing and you don’t address the fact that your “top choice” can’t handle 64-bit or SMP? I think you are confused. VirtualBox (the top choice) does support both x86-64 and SMP since 2008 and 2009 respectively. Maybe you mean that it doesn’t support those when the CPU/motherboard doesn’t support VT-x/AMD-V (which the vast majority of processors for at least 5 years have supported) than it doesn’t support them, but neither do Parallels or VMware Player in that situation. This is about virtualization not emulation. They all heavily utilize the features of the CPU and don’t support things that the CPU/host can’t support (e.g. no 64-bit quests on 32-bit hosts). The exception here is QEMU which is designed to emulate, not just virtualize. All that snark and you couldn’t get it right?